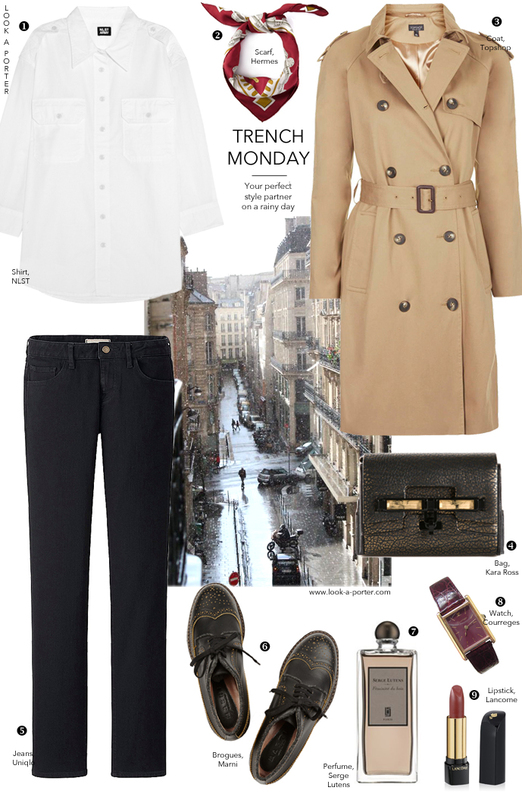 Trench Sundays are turning into Trench Mondays... Rainy mornings, need for coffee and a hug. And, indeed, a comfort blanket. This is one of the most perfect options: trench always makes me feel protected without compromising on being myself... I mixed it with a few high street and designer finds, added a couple of vintage pieces, a gorgeous perfume and a touch of classic lipstick. Chic and.. cheerful... Even on a rainy day. I love that trench, scarf and those brogues. This a perfect look to start autumn!